Durable, impact-resistant thermoplastic box complemented by innovative extras that cut installation time. Single Gang, Old Work Switch and Outlet Box with Swing-Bracket for mounting. Adjusts from 1 1/4" down to 1/8". Two Auto/Clamps on Each End. 100 pack. Quick/Click feature secures devices quickly and easily. Does not strip when over-torqued. 2 Auto/Clamps on each end eliminate the need for separate cable clamps. 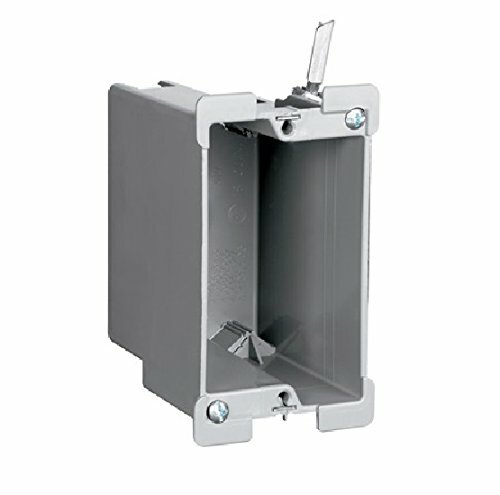 Metal swing bracket for quick mounting in existing walls. Swing bracket adjusts from 1 1/4 inch to 1/8 inch. If you have any questions about this product by Audioplex, contact us by completing and submitting the form below. If you are looking for a specif part number, please include it with your message.